Psycholinguistics is that branch of cognitive psychology which seeks answers to the questions: In what form is linguistic knowledge represented in the brain? How is this knowledge used in the processes of speech comprehension and production? What is the normal course of development in the organism of this knowledge and of the ability to use it? 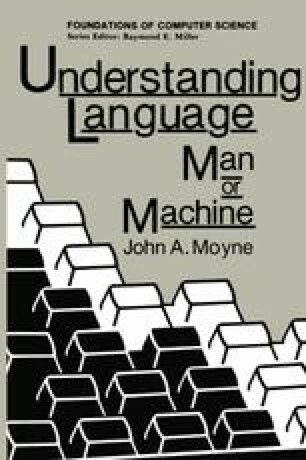 Much of the psycholinguistic research of the past fifteen to twenty years—although far from all of it—has been carried on within the framework of assumption and research interests called the information-processing paradigm, in which explanations of human mental processes are modelled, with varying degrees of explicitness, on the operations of computers (cf. Lachman et al., 1979). The present discussion will introduce those topics within psycholinguistics and touch on related issues within cognitive psychology, which are most pertinent to the concerns of this study.